Here are the presentations and the trip planning chart and table that were used at the Coastal Navigation & Tidal Planning Session given by Dan and Alan back in January 2016. Here you'll find gear lists, and suggested contents for first aid and repair kits for sea kayaking. 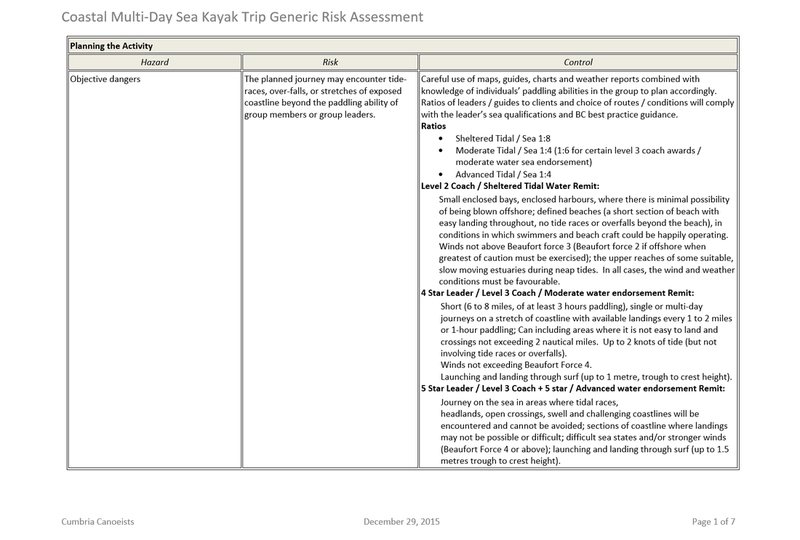 Here you'll find example risk assessments to use as a starting point for your own trip safety planning.